British American Tobacco Uzbekistan (UZBAT) commissioned the third phase of a high-tech complex for processing of domestic Virginia tobacco in the Samarkand region of Uzbekistan and successfully passed an international audit of the sustainable development of tobacco growing, Uzbek media reported on Oct. 12. 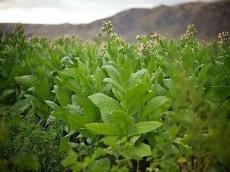 Over the past few years, UZBAT has been implementing a project to grow Virginia tobacco in the Samarkand region. Virginia tobacco is an elite tropical tobacco type, which has never previously been grown in Uzbekistan due to climatic conditions. This project, using latest technologies of adaptation and technical compensation of the missing climatic factors, is the most important element of the UZBAT import substitution program. UZBAT is aiming export production after 2020. The first stage of the Virginia technological processing complex was launched at the Urgut fermentation plant of UZBAT in Summer 2015. In August 2017, the second stage was put into operation. Investments of UZBAT in this complex in 2015-2017 exceeded 50 billion soums. In September 2018, the third stage of the complex was launched. The construction was carried out in just 5 months (April-August) with the company's own funds. Investments in the third stage of this complex amounted to more than 15 billion soums. Thanks to the commissioning of the third stage, processing of Virginia tobacco, which is a completely new crop for Uzbekistan, will increase by over 40 percent, from 700 tons (2017) to 1000 tons (2018) for each harvest season.